Issue 1: November 2007; Issue 2: March 2008 ; Issue 3: July 2008. In 12-13 November 2008, the United Nations organised in New York a high-level meeting of the General Assembly to promote inter-faith dialogue. The meeting was marked by the active participation of the heads of state and senior officials of more than 75 Member States who came together to support mutual tolerance, respect and understanding. At the end of the high-level meeting, the General Assembly of the UN adopted a general declaration praising the values of tolerance and mutual respect between faiths and cultures. On the occasion of this high-level meeting in New York, The Foundation for Science, Technology and Civilisation organised at the UN in New York a display on "Multi-Faith Scientists in Islamic Civilisation" and a conference on the "Strategic importance of Muslim Heritage in our World and its impact on Diplomatic, Educational and Socio-economic Developments". Between 13 and 17 October 2008, the Foundation for Science, Technology and Civilisation (FSTC) organised two major events in London: a scaled down version of the "1001 Inventions Exhibition" at the Houses of Parliament (13-17 October) and a conference on "Muslim Heritage in our World: Social Cohesion" at Hoare Memorial Hall, Church House, Westminster (15 October 2008). The exhibition which is exclusively for Ministers and Members of Parliament and not open to the general public, was opened by Jim Knight MP, UK Minister for Schools and Learning on the 15th October. 1001 Inventions' Houses of Parliament Experience. Picture Galleries: Album 1 – Album 2. Click here to view a New Series of Publications on www.MuslimHeritage.com, the academic website of FSTC which, the Number One Free Electronic Source of information on scientific, technological, historical and cultural aspects of Muslim Heritage. In this Fourth Issue of the Newsletter, a new series of articles and studies are featured. These publications cover numerous aspects of Muslim heritage in science, technology, history and culture, including valuable contributions by eminent scholars in the field and coverage of different topics. The articles are illustrated with video animations, multimedia materials and graphic illustrations often extracted directly from unpublished manuscripts. To stay informed about past and future activities of FSTC and its members and associates, as well as Muslim Heritage related events, click here. Between 13 and 17 October 2008, the Foundation for Science, Technology and Civilisation (FSTC) organised two major events in London: a scaled down version of the "1001 Inventions Exhibition" at the Houses of Parliament (13-17 October) and a conference on "Muslim Heritage in our World: Social Cohesion" at Hoare Memorial Hall, Church House, Westminster (15 October 2008). Here follows a short report on the conference illustrated with photos from both events. 1001 Inventions have been given the privilege of exhibiting at the Houses of Parliament, from 13th-17th October 2008. This taster exhibition showcased Al-Jazari's Elephant Clock and Scribe Clock as well as his famous water pump raising machine. The exhibition also covered pioneering projects of FSTC such as the Curriculum Enrichment Programme (CEP) and Cultural Understanding in Science Project (CUSP). The exhibition, which was exclusively for Ministers and Memebers of Parliament, was opened by Jim Knight MP, UK Minister for Schools and Learning on the 15th October. This is the text of a presentation made to The Education and Culture Committee of the EU Parliament in Brussels on the 5th November 2008. The presentation is in two parts. The first is an introduction to the 1000 years of amnesia, the so called "Dark Ages", and its impact on education and culture. The second is a review of the progress made in the ground breaking education project, entitled Cultural Understanding in Science (CUSP) jointly carried by the Foundation for Science, Technology and Civilisation (FSTC), Qualification and Curriculum Agency (QCA) and the Association of Science Education (ASE). Finally a list of concluding remarks and strategic recommendations are given. In 5-6 September 2008 the Universities of Manchester and Surrey organised in Manchester an international conference "Representing Islam: Comparative Perspectives". The meeting attracted over 100 eminent national and international speakers and a large audience. The conference was primarily concerned with the representations of Islam and Muslims in our modern world and the relationship of this representation/mis-representation with current social and political issues. The following article presents a short report about some of the most important debates discussed in the conference. In this article, Professor S. M. Ghazanfar, a specialist in the history of economic thought in the Islamic civilisation, explores the evidence concerning the roots of historical "capitalism" as it evolved in the early Islamic world. After delineating the geographical extent of capitalistic, commercial/business ventures in the early Islamic world, he discusses the major centres of Islamic commerce, then focuses on the nature and content of the economic activities undertaken by the early Muslim entrepreneurs, and describes the development of financial institutions. 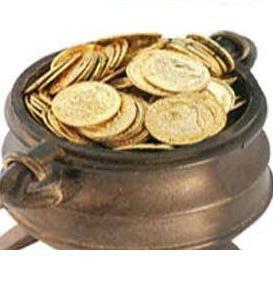 Finally, the article concludes with the argument that, notwithstanding the relatively recent origin of the nomenclature, the capitalistic system indeed was the prevailing mode of economic activities in the early Islamic civilization. The following article by the expert scholar Lutfallah Gari surveys the historical sources to uncover the ancient history of the invention of spectacles. To the question "where and when were they invented? ", and after a close investigation in the some original sources and a survey of secondary literature, the author shows the evidence in favour of the determining role played by Arabs and Muslims in the early history of this tremendous tool. Text of the Lecture of Professor Roshdi Rashed in the Conference Muslim Heritage in our World: Social Cohesion marking the 1001 Inventions Exhibition at the House of Parliament, 15th of October 2008, Church House, London, UK. Text of the Lecture of Professor Jim Al-Khalili in the Conference Muslim Heritage in our World: Social Cohesion marking the 1001 Inventions Exhibition at the House of Parliament, 15th of October 2008, Church House, London, UK. The Bodleian Library at the University of Oxford has purchased the medieval Arabic manuscript Kitab Gharaib al-funun wa-mulah al-?uyun known as the Book of Curiosities, an exceptionally rich text on cosmography. The treatise is one of the most important recent finds in the history of Islamic cartography in particular, and for the history of pre-modern cartography in general. The manuscript, a highly illustrated treatise on astronomy and geography compiled by an unknown author between 1020 and 1050, contains an important and hitherto unknown series of colourful maps, giving unique insight into Islamic concepts of the world. Portions of the text are preserved in later copies, but the copy owned by the Bodleian library is the only nearly complete coy and the one to have been extensively studied and released in an electronic edition which represents a model for online publishing of Arabic original manuscripts. This high-quality digital reproduction includes interactive displays, through mouse-over techniques, as well as access to a modern Arabic edition and an annotated English translation. Information on the long and varied relationship between Islam and Scotland that began as early as the 7th century is non-existent. The Thistle and the Crescent by Bashir Maan has been written to fill this gap. Mrs Margaret Morris reviews this book which covers the history of the relationship between Scotland and Islam, as well as an account of the experiences of Muslims in contemporary Scotland and an account of the beliefs and practices of Islam which counteracts many misconceptions. FSTC Research Associate Kaleem Hussain delivered a lecture on ‘Muslim Heritage: A Scholarly Perspective' on 17th April 2008 at the Markfield Institute of Higher Education in Leicester. Aiming to explore the education of children in that area, focusing particularly on Muslim children, the conference presented the projects of FSTC and some milestones in contemporary scholarship in Muslim Heritage. We reproduce in this article a brief summary of the themes touched on during the lecture. The following article presents a thorough intellectual biography of the late Aydin Sayili, the well known historian of Islamic science. The second part of the article is a comprehensive list of his works. 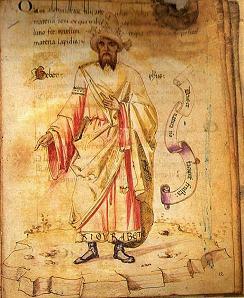 This bibliography shows the richness and variety of his contributions to the history of medieval Islamic sciences, with a special focus on astronomy, mathematics and physics, the sciences that established the subject of history of science as an independent discipline in 20th century scholarship. In this well informed article, Dr Geoffrey Roper, an expert in the field, outlines an impressive portrait of the dangers and threats encountered by the national heritage of Iraq due to the recent dramatic events in this country. After an historical survey in which the 13th-century Mongol invasion is recorded, the article focuses on the vicissitudes that the tragic political and military situation in Iraq has inflicted on manuscripts, archives, rare books and libraries in different towns of Iraq, especially in Baghdad. Aydin Sayili is one of the first eminent figures of the history of science in Islam to pursue an academic career in this discipline. He was fortunate to earn the first PhD from the history of science chair established by George Sarton at Harvard University. With this distinguished background, he made valuable contributions to this field throughout his life. In the following article, Professor Ekmeleddin Ihsanoglu draws a lively picture of the scientific biography of the late Aydin Sayili (1913-1993) and points out the hallmarks of his scholarly work. In this article, Anthony Garnaut, an expert in Chinese Muslim culture, focuses on the Islamic heritage in China and its relevance to understanding both the evolution of Chinese history and culture, and to appreciating the complex, multi-ethnic influences on modern China. Beginning with the Mongol conquest of the greater part of Eurasia in the 13th century, that brought the extensive cultural traditions of China and Persia into a single empire, he describes the great impact the Chinese Muslim communities exerted on the Chinese civilisation in technology, sciences, philosophy and the arts. In the following bibliography of the Islamic and Chinese scientific relationships in classical times, a list of the main recent works is produced. The researches cover various scientific domains, from mathematics and astronomy to technology, geography and travel accounts. They show the mutual influence between the world of Islam and the Chinese world. The following text is the revised and expanded version of a lecture presented at The Royal Society in London (1st March 2007) during a meeting of the Muslim Heritage Awareness Group (MHAG) in which Mohammed Abattouy outlines a potential future research program in Muslim Heritage in the fields of mechanics, technology and engineering. 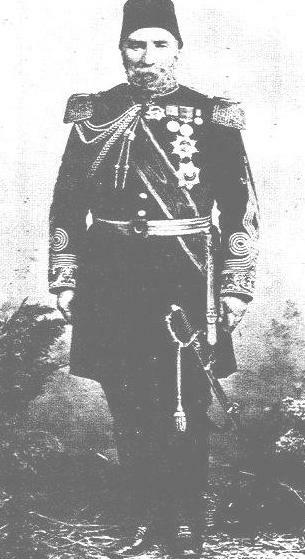 This article is a biography essay on the life and works of Vidinli Tawfiq Pasha, a 19th-century Ottoman scholar, statesman and general of 19th-century Istanbul, and a noteworthy mathematician who published in 1882 an important book in Linear algebra, a new branch of mathematics at that time. After a short biographical sketch, we present a complete compilation of his writings in Linear Algebra and in other fields. Until recently, the mainstream history of scientific ideas has failed to acknowledge numerous Islamic scientists and their great efforts and achievements throughout the centuries. This short article seeks to contribute to redressing this injustice by highlighting Muslim contributions and attitudes towards the progress of chemistry. In this article, Professor Aydin Sayili analyses the medical teaching in the different phases of Islamic civilisation, especially in the madrasa system. The network of schools covered the Islamic world from the 11th century onwards, while the European university was developed over a century later and at a time when Latin translations of Arabic philosophical and scientific works were already available. Thus he established a parallel between the features of the madrasa and the university in pre-modern Europe and stresses how the medical authorities of Islam such as al-Râzî and Ibn Sînâ were accorded a place of honour in European medical schools. This book is a collection of previously-published papers on the origins of economic thought discovered in the writings of some prominent Islamic scholars belonging to the five centuries prior to the pre-modern era. This period was labelled by the late Joseph Schumpeter in the 1950s as representing the "great gap" in literary history, in particular the history of economic thought. Since then, this error, already well embedded in the relevant literature, was further strengthened and perpetuated. However, during this period the Islamic civilisation was the most fertile ground for intellectual developments in various disciplines, including economics. The present single-volume collection of papers attempts to fill that blind-spot in the history of economic thought. Until recently, the mainstream history of scientific ideas has failed to acknowledge numerous Islamic scientists and their great efforts and achievements throughout the centuries. This short article seeks to contribute in redressing this injustice by highlighting Muslim contributions and attitudes towards the progress of chemistry. 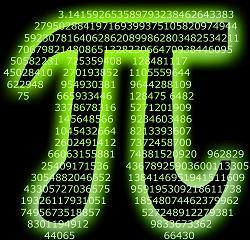 The Greek letter pi (symbolized by p) is defined as the ratio of the circumference of the circle to its diameter. It is considered to be a vital element in the calculations of areas and sizes of several mathematical figures: the circle, the cube, the cone and the sphere, from which infinite practical applications have sprung. As a result, mathematicians in many civilizations (Greek, Chinese, Indian, Arabian and European) have been highly concerned with calculating p as carefully as possible. 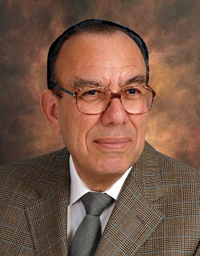 This article by Professor Moustafa Mawaldi, the Dean of the Institute for the History of Arabic Science in Aleppo, sheds light on the contribution of some mathematicians of the Islamic civilisation in refining the value of pi. The works surveyed are those of Al-Khwarizmi, Al-Biruni, Al-Quhi, and Al-Kashi. 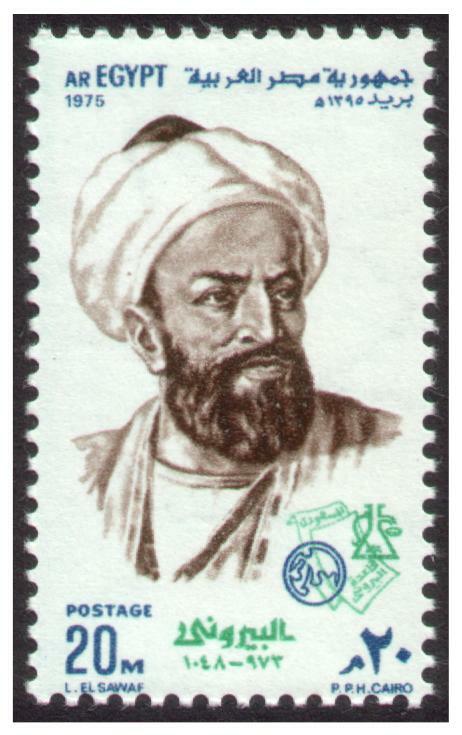 Mathematics has long been an area of expertise amongst Muslim mathematicians. This article considers the contributions of Al-Tusi and Al-Battani and others in trigonometry, focusing upon the progress their discoveries represented in comparison with the ancient tradition as displayed in Ptolemy's Almagest. 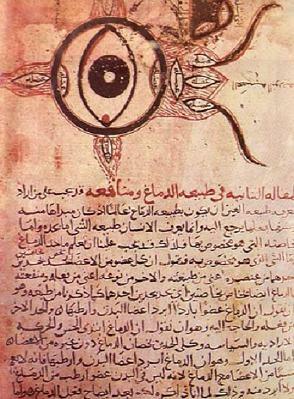 "I invite you... to go back with me 1000 years to consider the fascinating history of the old Arabian ophthalmology which I have studied in the past five years." With these words Julius Hirschberg, addressing the American Medical Association in July 1905, presented the work of Muslim ophthalmologists. Inspired by the pioneering work of the eminent German expert, Dr Ibrahim Shaikh describes in brief in this well informed article the contributions of Al-Ghafiqi, Ibn al-Haytham, Salahuddin Ibn Yusuf, Kalifah of Aleppo, Zarrindast, and Ammar Al-Mosuli. He devotes a special interest to the first description of cataract operation by Al-Mosuli and its subsequent impact on the works of his followers. The article is about the famous Kornik Castle near Poznan, in Poland which has many features inspired by Islamic art and architecture. Outlining the reasons of this influence, Mrs Latour-Abdalla describes the many aspects of Islamic art, architecture and learning featured in this monument until today. The video documentary produced by the BBC in 2005 An Islamic History of Europe, by the famous TV presenter Rageh Omaar (who also covered the American invasion of Iraq), reveals the surprising hidden story of Europe's Islamic past. George Sarton was a pioneer scholar who played a decisive role by his scholarship, methodology and academic career in establishing the history of science as a recognized subject in modern academia. His monumental major work in multiple volumes Introduction to the History of Science set a high standard and led the way for many others to follow. In this article, the late Professor Aydin Sayili, who was a student of George Sarton in Harvard University, scrutinizes Sarton's contribution through his own analysis and memories, and relies on the corpus of literature produced on Sarton by historians and academics. The first stone was laid on July 16, 2008 at the Louvre's new Arts of Islam gallery. With this initiative, France's famous Museum is preparing to receive its groundbreaking Islamic section that will showcase the world's most comprehensive Islamic art collection. In this special section reproduced from Aramco World (issue March/April 1981), distinguished authors cover topics related to printing in the Islamic civilisation. It is showed, in particular, that contrary to the notion that the technology of printing somehow bypassed Muslims, the Islamic civilisation has left substantial evidence that block printing was a craft familiar to many in the medieval Islamic world between the 10th and the 15th centuries, long before Gutenberg invented press printing. The most common texts to have survived are amulets, of which several dozens survived, some of which are preserved in European and US libraries and museums. Read more here: FSTC's Contribution to the Intercultural Dialogue at the General Assembly of the United Nations and see photos here: Album. Between 13 and 17 October 2008, the Foundation for Science, Technology and Civilisation (FSTC) organised two major events in London: a scaled down version of the "1001 Inventions Exhibition" at the Houses of Parliament (13-17 October) and a conference on "Muslim Heritage in our World: Social Cohesion" at Hoare Memorial Hall, Church House, Westminster (15 October 2008). On this occasion, 1001 Inventions have been given the privilege of exhibiting at the Houses of Parliament, from 13th-17th October 2008. This taster exhibition showcased Al-Jazari's Elephant Clock and Scribe Clock as well as his famous water pump raising machine. The exhibition also covered pioneering projects of FSTC such as the Curriculum Enrichment Programme (CEP) and Cultural Understanding in Science Project (CUSP). The exhibition, which was exclusively for Ministers and Members of Parliament, was opened by Jim Knight MP, UK Minister for Schools and Learning, on the 15th October 2008. 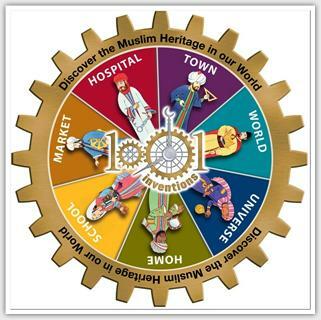 Read more here: Muslim Heritage in our World: Social Cohesion (1001 Inventions in UK Parliament) and 1001 Inventions at UK Houses of Parliament. FSTC published two press releases: Press Release 1 - Press Release 2.
on the website www.1001inventions.com: click here and here. on www.MuslimHeritage.com: click here and here. Albums of photos of both activities were published on Picasaweb: Album 1 – Album 2. For a list of personalities who attended the conference, visit: 1001 Inventions' Houses of Parliament Experience. In support of the initiative of HM Queen Rania of Jordan championing international cross cultural dialogue, which was inaugurated by launching a scheme of video-sharing through YouTube to help prevent Muslims and Arabs from being stereotyped, FSTC produced a video clip that highlights some of the everyday items in our homes that came to us through a shared heritage with Muslim Civilisation. This clip is the first in a three part series specially produced by FSTC to support Her Majesty's YouTube Project. It was presented by Bettany Hughes. The videos produced by FSTC were sponsored by Abdul Lateef Jameel Group. Arab and European politics and culture came together under the European Parliament's roof in Brussels during the "Arab week" organized between 3-7 November 2008 in a series of seminars exhibitions and artistic performances. The events took place as part of the European year of intercultural dialogue. During this "Arab week", Professor Salim Al-Hassani and Ian Fenn made a presentation to The Education and Culture Committee of the EU Parliament in Brussels on the 5th November 2008. The presentation was in two parts. The first is an introduction to the 1000 years of amnesia, the so called "Dark Ages", and its impact on education and culture. The second is a review of the progress made in the ground breaking education project, entitled Cultural Understanding in Science (CUSP) jointly carried by the Foundation for Science, Technology and Civilisation (FSTC), Qualification and Curriculum Agency (QCA) and the Association of Science Education (ASE). Finally a list of concluding remarks and strategic recommendations are given. Read more here: Muslim Heritage and Education. In 5-6 September 2008 the Universities of Manchester and Surrey organised in Manchester an international conference "Representing Islam: Comparative Perspectives". The meeting attracted over 100 eminent national and international speakers and a large audience. The conference was primarily concerned with the representations of Islam and Muslims in our modern world and the relationship of this representation/mis-representation with current social and political issues. 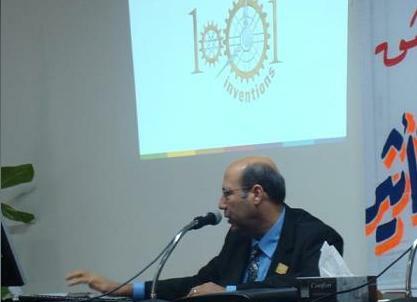 In this conference, Professor Salim Al-Hassani represented FSTC and made a keynote lecture on: 1001 Inventions verses 1001 Nights: Shifting Public Perception of a 1000 years Amnesia. Read a short report about some of the most important debates discussed in the conference here: Representing Islam and Muslims in the Media: An Academic Debate. The Institute for the History of Arabic Science in the University of Aleppo (in cooperation with the University of Damascus, and in celebration of Damascus as the capital of Islamic culture) organised the Ninth International Symposium for the History of Arabic Science. It is entitled: "Arab Scientific Contributions in the Islamic Ages: Effects and Influence." This symposium was held in the Faculty of Arts and Humanities at the University of Damascus, 28-30 October 2008 (click here to read the announcement of the conference in "Events" section on www.MuslimHeritage.com). Professor Salim Al-Hassani: "Development of Historical Timelines for the Enrichment of Science and Technology Curriculum of Education"
Dr. Salim Ayduz: "Astronomical Studies and Related Institutions within the Ottoman Administration"
Dr. Munim M. Al-Rawi: "Ibn Sina Discovery of Geologic Time, and its Impact on the Development of Earth Sciences"
Engineer Lutfallah Gari: "Heritage Books in Chemical Industry"
Dr. Rim Turkmani: "17th Century England and Arabic Science"
Dr Okasha El Daly: "The Role of Muslim Scholars in the Study of the Ancient Egyptian Civilisation". 7. Lecture by Dr. Salim Ayduz on "Ottoman Contributions to Modern Civilisation"
On 10 December 2008, Dr. Salim Ayduz, Senior Research Fellow at FSTC and a visitor scholar at Manchester University, gave a lecture on "Ottoman Contributions to Modern Civilisation" at the University of Manchester. The conference was organized by the University of Manchester Turkish Society and Mercy Educational Society. In his lecture, Dr Ayduz, a specialist of Ottoman science and technology, outlined the achievements of Ottoman scholars and focussed on their significant contributions in science and technology during several centuries, since the foundation of the first madrasa in Iznik in 1331. During 600 years, the Ottomans established so many scientific institutions such as observatories, libraries, madrasas, hospitals, and contributed with new scientific and technological innovations to the progress of scientific knowledge. Dr Subhi Al-Azzawi, member of FSTC and senior architect (Kent, UK), presented a lecture at the international symposium on "Baghdad (Madinat al-Salam) in the Islamic Civilization" organized in Istanbul by the University of Marmara (the Faculty of Divinity and the Department of Islamic History and Arts), Umraniye Municipality, and the Research Centre for Islamic History, Art and Culture of the Islamic Conference (IRCICA). Baghdad, founded in the 8th century as the capital of the Abbasid caliphate, soon became a vibrant city crowded by people from different races, colours, and creeds. Soon after its founding, it became a major centre of not only commercial activities but also scholarship, culture, and civilization. 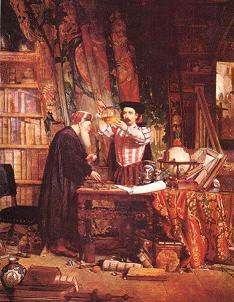 The city produced countless scholars in many areas of knowledge, thinkers of all sorts, poets, artists, and diverse models of piety through many of its educational and pious institutions, booksellers, and libraries, in which groundbreaking literary and scholarly studies were carried out. The Nizamiya and Mustansiriyya madrasas pioneered the madrasa system in the Islamic world in both program and architectural style, thus playing a fundamental role in the history of culture and science in the Islamic world. 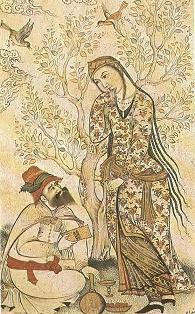 Baghdad was the centre of the Hanafi and Hanbali schools of jurisprudence, and Sufi and philosophical thoughts. It also contributed greatly to broader human culture and knowledge as the centre of the transmission (and expansion) of ancient sciences and scholarship east and west into Arabic, much of which would be later translated into Hebrew and Latin. After its destruction by the Mongol conquests, Baghdad regained much of its previous vitality and importance under successive dynasties, including the Ottomans. Numerous celebrated thinkers in the field of philosophy, jurisprudence, historiography, and literature flocked to Baghdad for patronage. Baghdad after the Ottoman Period. Our colleague and FSTC key associate member Professor Emilie Savage-Smith, together with her co-author Dr. Peter Pormann, was awarded the 2008 British-Kuwait Friendship Society Book Prize for their joint book: Medieval Islamic Medicine (Edinburgh: Edinburgh University Press [New Edinburgh Islamic Survey Series], 2007; published simultaneously by Georgetown University Press and The American University in Cairo Press). Read our announcement of the award: Award for Medieval Islamic Medicine and click here to read the press release of the award. Visit the review of the book published on www.MuslimHeritage.com: A New Book on Islamic Medicine: Medieval Islamic Medicine by Peter E. Pormann and Emilie Savage-Smith, and read other articles of Emilie Savage-Smith on our web portal: Seeking Seamless Scientific Wonders: Review of Emilie Savage-Smith's Work.